Travis Pastrana Pays Tribute to Evel Knievel and Sets 3 Records in one day! In what has been the Spectacle of the Summer for Las Vegas, 3 new World Records were set over the weekend. You may recall, we told you about Travis Pastrana recreating the famous Evel Knievel Jump over the Fountains at Caesars Palace. Not only did Pastrana successfully complete the Jump, he also did two others and broke records on all three jumps. Using a specially built 340 pound Indian Motorcycle like the one Evel rode, Pastrana jumped 52 crushed cars with a distance of 143 feet. He then jumped 52 Greyhound Buses at 192 feet. The Big jump over the Fountains at Caesars Palace was the Finale covering 149 feet. All three jumps went off without a hitch and landed Pastrana in the Record Books! The Spectacle is now a precursor for a Residency at Bally's Hotel and Casino. Coming In 2019, the Jubilee Theater will be renamed, The Nitro Circus Theater and feature all sorts of jumps and stunts. The show will feature a series of BMX, Motocross, Best in Skate; and many other specially built Nitro Circus equipment. The Theater will be a maze of ramps, platform stages and video screens. 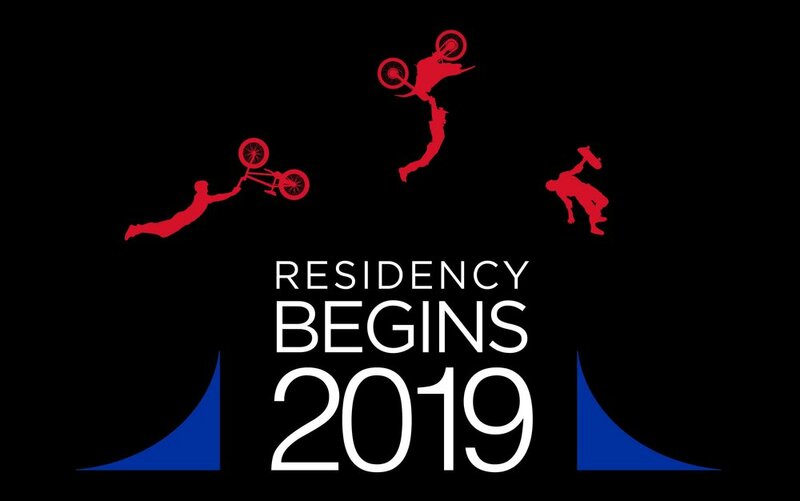 The Residency is being promoted by Nitro Circus, Base Entertainment and Caesars Entertainment. Older PostThe NBA Summer League is coming to Las Vegas!